Many people in business have everything it takes to be an entrepreneur but have never thought of themselves in those terms. I say the definition of an entrepreneur needs to be expanded so Australia doesn’t miss out on the best business talent in the right roles. In my conversations with business owners, I often rail against the idea that an entrepreneur is just someone with an idea for an app, a start-up or someone who juggles multiple roles. 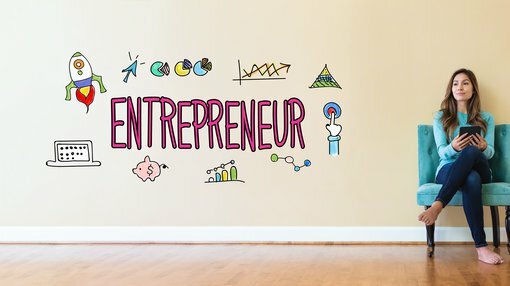 An entrepreneur is anyone with business nous. You could be a 10-year senior manager in a firm or a student straight out of a business degree and you could be a first-class entrepreneur. The Rebuilder:This rebuilder can take an existing business and give it new life – identifying what works and what doesn’t and making changes to bring it into a new age of success. The Renovator: This renovator isn’t afraid to make changes to what works to see if it can work better. They’ll take an existing business with a strong core and make small changes on a daily basis to ensure it’s set for a bountiful future. The Architect: The architect is someone who has strong vision and ideas and is always thinking creatively. Often found within the world of startups, they come up with the ideas that form the basis of a new business. If this sounds like you, but you’ve never thought of yourself in these terms before, it’s time to start. You could have what it takes to come up with the next great financial success story or steer a business from keeping its head above water to thriving and looking towards growth. So make sure you don’t dismiss the idea that you could become Australia’s next great entrepreneur – because you might already be on your way.